My Journey with Parkinson’s … A Natural Approach: Post 165 … Overcoming Detrimental Beliefs! My Journey with Parkinson’s … A Natural Approach: Post 152 … More on Fear! Fear! As confounding an aspect of human experience as there is. On a physical level, the feeling of fear is meant to keep us alive. Confronted by a hungry lion in the jungle or a jilted ex-lover at the shopping mall, it tells us to fight, take flight or freeze [I recommend option two as it relates to the former flame]. On a spiritual level, it keeps us from, but guides us towards, love. 7 Behaviors That Could Change Humanity! I think we can all agree that the state of affairs on the planet is quite dire at this point in our history. I could present a long list of societal and environmental indicators as evidence of this, but I neither want to depress or scare anyone. Safe to say, things aren’t good! A young man recently asked me for advice. He wanted to know for someone just starting out how best to live life. When I thought about it, two things occurred to me. First, I felt very honored by the request because I’ve never been asked this before and I understood how genuinely important it was. Second, I realized that the advice I was going to offer this young man, for the most part, would be the same advice I would offer just about anybody, as they are the principles that have become the guiding light for how I live my life … and I’m almost 60. One of the Best Countries to Live In … O (really) Canada! Canada is considered one of the best countries to live in. Has been for a long time. With endless lakes, majestic mountains, picturesque ocean shores, bold landscapes, northern lights and four spectacular seasons, Canada offers a stunning variety of experiences that capture the imagination and satiate the soul! Canada has Muskoka, Banff, Jasper, Cape Breton, Niagara Falls, Algonquin Park, Vancouver Island and the Okanagan Valley, some of the most beautiful places on the planet. It also has one of the highest rates of college graduates in the world and it’s economy has been flourishing thanks to trade with China. In the last ranking of most desirable places in the world in which to live in 2007. Canada ranked 4th, behind Norway, Australia and Iceland. Yes, Canada, truly is an awesome place to live! One must wonder who decided this because when you dig deep into the underbelly of this country you will find a lot of dark secrets. The kind people want to keep tucked under the pillow. Talk to any group of 10, 20, 50 or 1,000 women, for example, and you’ll find that at least 70% of them (if not 100%) have been physically. mentally and, most appallingly, sexually abused, usually by a family member or ‘trusted’ friend. Talk to any similar group of men, and if they’re will to talk (men don’t like to admit these sorts of things), you will find a shockingly high number with similar experiences. Talk to any group of school children and you will find that the vast majority have been bullied. Talk to anyone, especially teenagers, who’ve found themselves on the wrong side of the law, and they will tell you that Canada is a police state, filled with corruption and police brutality. Dig deeper and you will find Canadians who have been victimized in residential schools, churches and native communities. As a whole, Canada’s treatment of natives has been shameful. After taking away their land and way of life, we allow them to live in squalor, then blindly throw millions of dollars at them, with no knowledge of what is happening with the money. Over 500 people die each year by homicide, a small number when compared with our neighbour to the south, the United States of ‘shoot ’em up cowboy,’ but none the less, over 500 people who are dying violently. Add to that, the fact that Canada also has had more than its share of serial killers and mass murderers, plus over 90.000 impaired driving incidents reported by police each year and you’ve got a country with a lot of issues. What is perhaps most disconcerting is the scandalous behaviour of those busy little bureaucrats who occupy certain ‘ruling’ institutions in towns and cities across the country, most notably, one that is situated on a river by the same name (you know, the one that starts with ‘O’ as in oppression and ends with ‘wa’ as in ‘wah, wah, wah,’ can we really believe anything you tell us?). If you really think Canada is a democracy, do something to cross these people. And we live in one of the best and safest countries in the world. But best and safest for who? Surely not our women, or our school children, or our natives, or our altar boys or the people who drive on our roads, or the victims of crime. or the over 7% of Canadians who are without a job. When I think about the people who consider Canada one of the best places to live (clearly they’ve never been in a hockey arena), I can only imagine that it is recent arrivals from Somalia or Sierra Leone or Haiti or Syria. Or perhaps it is the handful of men of who run our governments, banks and corporations … you know, the ones who managed to escape the physical, mental and sexual abuse mentioned earlier, and who weren’t downsized out of their job. I think the important question at this point, is why am I talking about this. Certainly, it is not to depress you. Rather, it is to shock everyone out of their complacency. It is to force you to ask, ‘is this the way we want to live?’ Without some awareness of the issues, there is no motivation to fix them. There is no incentive to take action. So, what can we do? To begin, we need to understand that these conditions exist because we live in a society that doesn’t feel good about itself. Canada, despite its reputation, is home to too many people who don’t feel loved or worthy or good enough or empowered. And if it’s like this in Canada, can you possibly imagine what it’s like in Somalia or Haiti. Once we have an understanding of the situation, then we can take action, and the most effective action we take, is to be kind. We can’t control what others do, but we can certainly take charge of what we do. When we are kind, we don’t hurt others, we don’t put people out of work and we don’t drive drunk. And when we are kind, quite often we inspire others to be kind and it starts to snowball. When we all start treating each other with kindness we won’t need to conduct surveys to determine which is the best place to live. They all will be. 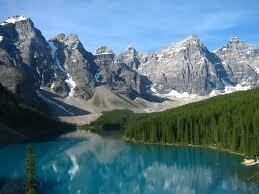 And all the spectacular experiences Canada has to offer truly will be. Have an awesomely ‘best’ day! Merry Christmas: My Christmas Wish List! I am sending you my Christmas wish list in the hopes that you can really come through this year. You see, it’s been another difficult year here south of the North Pole, so I’m really counting on you. I don’t want you to think that I’m putting pressure on you or being selfish. I know you’ve got a lot to do and a lot of wishes to grant. But it’s been a long time since I sent you my list and since Jesus doesn’t appear to be making a second coming … despite all the promises I heard about … perhaps you can fill the void.